Even the most careful drivers can’t help but expose their vehicle to mud, dirt, and spills from time to time. Once the stain is there, it can be difficult and uncomfortable to stretch inside your car to scrub at it. Thankfully a well-fitted floor mat can help protect the inside of your Acura TL and keep it looking clean and new. Some drivers hesitate to purchase floor mats for fear of them looking tacky or ugly when inside their vehicle. 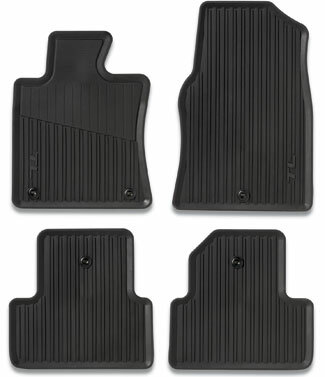 While this can certainly be the case with generic floor mats, OEM mats have a much cleaner, tighter fit since they are made to the exact specifications of your vehicle. Your Acura TL doesn’t have the same measurements as other vehicles, so how could the same mat work for everything? With OEM you are also able to flawlessly match the shade of your upholstery. Ill-fitting floor mats are also more likely to shift or roll up every time you get in the car. For the driver, this can be a problem if the mat begins to interfere with the pedals. A genuine Acura TL floor mat will fit perfectly, every time. Floor mats not only impact the aesthetic feel of your vehicle, but also its resale value. Interior condition is an important factor in determining how much your Acura TL is worth when it’s time to sell. Spilled drinks, grime, and anything carried in on your shoes might stain your vehicle floor and detract from its overall value. 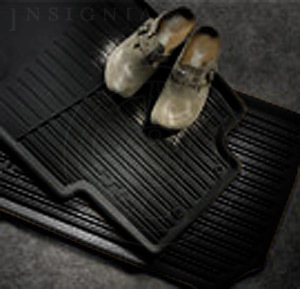 With a floor mat, you protect your investment, since floor mats are easy to remove and clean separately. Additionally, all weather rubber mats are always grooved in order to improve traction and catch dirt before it can spread.